133:1.2 "Ganid, it is true, you do not understand. Mercy ministry is always the work of the individual, but justice punishment is the function of the social, governmental, or universe administrative groups. As an individual I am beholden to show mercy; I must go to the rescue of the assaulted lad, and in all consistency I may employ sufficient force to restrain the aggressor. And that is just what I did. I achieved the deliverance of the assaulted lad; that was the end of mercy ministry. Then I forcibly detained the aggressor a sufficient length of time to enable the weaker party to the dispute to make his escape, after which I withdrew from the affair. I did not proceed to sit in judgment on the aggressor, thus to pass upon his motive-to adjudicate all that entered into his attack upon his fellow-and then undertake to execute the punishment which my mind might dictate as just recompense for his wrongdoing. Ganid, mercy may be lavish, but justice is precise. Cannot you discern that no two persons are likely to agree as to the punishment which would satisfy the demands of justice? One would impose forty lashes, another twenty, while still another would advise solitary confinement as a just punishment. Can you not see that on this world such responsibilities had better rest upon the group or be administered by chosen representatives of the group? In the universe, judgment is vested in those who fully know the antecedents of all wrongdoing as well as its motivation. In civilized society and in an organized universe the administration of justice presupposes the passing of just sentence consequent upon fair judgment, and such prerogatives are vested in the juridical groups of the worlds and in the all-knowing administrators of the higher universes of all creation." 133:1.4 "Ganid, I can well understand how some of these problems perplex you, and I will endeavor to answer your question. 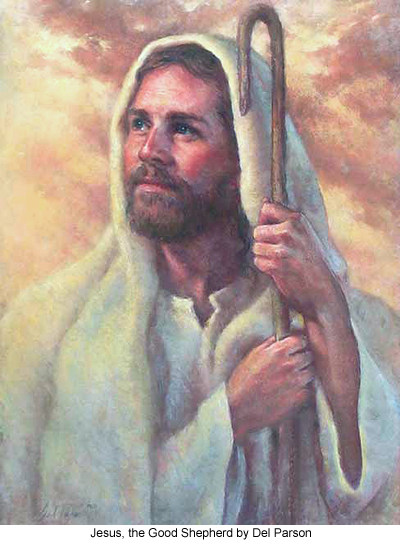 First, in all attacks which might be made upon my person, I would determine whether or not the aggressor was a son of God-my brother in the flesh-and if I thought such a creature did not possess moral judgment and spiritual reason, I would unhesitatingly defend myself to the full capacity of my powers of resistance, regardless of consequences to the attacker. But I would not thus assault a fellow man of sonship status, even in self-defense. That is, I would not punish him in advance and without judgment for his assault upon me. I would by every possible artifice seek to prevent and dissuade him from making such an attack and to mitigate it in case of my failure to abort it. Ganid, I have absolute confidence in my heavenly Father's overcare; I am consecrated to doing the will of my Father in heaven. I do not believe that real harm can befall me; I do not believe that my lifework can really be jeopardized by anything my enemies might wish to visit upon me, and surely we have no violence to fear from our friends. I am absolutely assured that the entire universe is friendly to me-this all-powerful truth I insist on believing with a wholehearted trust in spite of all appearances to the contrary." 133:1.5 But Ganid was not fully satisfied. Many times they talked over these matters, and Jesus told him some of his boyhood experiences and also about Jacob the stone mason's son. On learning how Jacob appointed himself to defend Jesus, Ganid said: "Oh, I begin to see! In the first place very seldom would any normal human being want to attack such a kindly person as you, and even if anyone should be so unthinking as to do such a thing, there is pretty sure to be near at hand some other mortal who will fly to your assistance, even as you always go to the rescue of any person you observe to be in distress. In my heart, Teacher, I agree with you, but in my head I still think that if I had been Jacob, I would have enjoyed punishing those rude fellows who presumed to attack you just because they thought you would not defend yourself. I presume you are fairly safe in your journey through life since you spend much of your time helping others and ministering to your fellows in distress-well, most likely there'll always be someone on hand to defend you." And Jesus replied: "That test has not yet come, Ganid, and when it does, we will have to abide by the Father's will." And that was about all the lad could get his teacher to say on this difficult subject of self-defense and nonresistance. On another occasion he did draw from Jesus the opinion that organized society had every right to employ force in the execution of its just mandates.